For buy-to-let landlords coming to terms with tax relief cuts, new energy efficiency rules and the upcoming tenant fees ban, a long Brexit delay and further property market uncertainty might seem like the latest in an unwelcome series of events. But how will landlords really be affected by Brexit? Could now be the time to make the most of cheap mortgage rates and market jitters, or is it best to sit tight and ride out the storm? Which? explores the impact of Brexit on the buy-to-let housing market, and how landlords can prepare for the uncertainty it is bringing. For advice on your buy-to-let mortgage options, call Which? Mortgage Advisers on 0800 197 8461. The government’s controversial Right to Rent regulations require landlords to ensure their prospective tenants are allowed to live in the UK. Right now, however, the policy is in a state of confusion. The government is yet to provide guidance on what might happen to the rules after Brexit, and a High Court judge recently ruled that the policy breaches the European Convention on Human Rights. This uncertainty could cause issues for landlords, given that two-thirds of EU nationals in the UK live in the rented sector. David Smith of the Residential Landlords Association says: ‘Landlords are not border police… the government needs to publish clear and practical guidance about the implications of Brexit on who landlords can and cannot rent to. The Right to Rent policy was introduced in 2014. It requires landlords to check a prospective tenant has the right to live in the UK. Landlords must request original identification documents from tenants and keep copies of them for the duration of the tenancy. Landlords can get advice on conducting checks by calling the government’s helpline on 0300 069 9799. It’s no secret that the property market has slowed down since the EU referendum in 2016, but any predictions of a crash have so far been well wide of the mark. 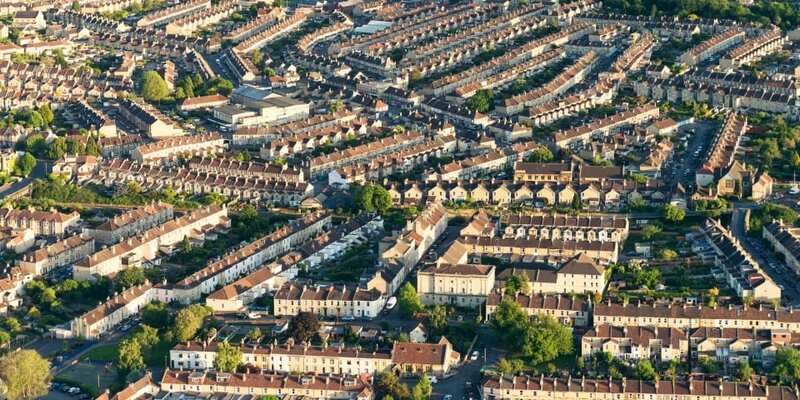 The most recent data from the Land Registry showed that in January, the average UK house price was £228,147, the lowest figure seen since May last year. But while the market has become more price-sensitive, it hasn’t ground to a halt – and the number of properties being sold has actually increased. Data from the HMRC shows that in February 2019 the number of property transactions increased to 101,780, up from 99,060 a year earlier. Theoretically, price drops are good news for buy-to-let investors looking to grab a bargain, but in truth, many landlords remain reluctant to expand their portfolios right now. In many cases, this is less about Brexit and more about the challenge of turning profits in light of buy-to-let stamp duty rules, mortgage interest tax relief cuts and the upcoming tenant fees ban. The National Landlords Association (NLA) says that when it comes to grabbing a buy-to-let bargain, things could go either way as Brexit rumbles on. With their profit margins coming under pressure, there are signs that landlords are scouring the UK for better yields. New data from Hamptons International suggests that London-based investors are increasingly looking outside of the capital. The agency’s research claims that 59% of London-based landlords purchased their buy-to-let properties elsewhere in the country during the last year. Find out more: get to grips with the property market with our story on Brexit and house prices. Since the EU referendum in 2016, the average rate on a fixed-rate buy-to-let mortgage has dropped by almost half a percent, according to data from Moneyfacts. And there have been signs, too, that lenders have looked to entice buy-to-let landlords by cutting up-front fees, and in some cases, offering cashback on their products. While fixed rates are currently low, it’s possible that costs could rise if the Bank of England base rate increases from its current level of 0.75%. So far, the Bank of England governor Mark Carney has played his cards close to his chest, suggesting that with so little set in stone around Brexit, it’s difficult to say what will happen to interest rates. Why is this important? Well, base rate rises can result in mortgages becoming more expensive. When the rate increased from 0.5% to 0.75% in August 2018, the average buy-to-let fixed deal increased in cost from 3.14% to 3.25% in the space of three months. Are landlords still taking out mortgages? According to the most recent lending data from the trade body UK Finance, thousands of landlords still taking out mortgages every month – though the market is contracting somewhat. The most recent index shows that in January, the number of mortgages granted to landlords for house purchases dropped by 1.8% to 5,500, while the number of buy-to-let remortgages fell by 4.2% to 15,800. What will happen to rents? This isn’t strictly related to Brexit, but the upcoming tenant fees ban could result in some landlords leaving the sector. But while the ban will result in higher costs for many property investors, this lack of supply could bring higher rents. The latest monthly report from ARLA Propertymark suggests rents are already on the rise, with 34% of letting agents saying they witnessed landlords increasing prices in February – a figure that’s up 14% year-on-year. Find out more: get to grips with the changes facing landlords with our story on 16 things landlords need to know in 2019. If you’re considering expanding or remortgaging your portfolio, it can be helpful to get advice from a whole-of-market mortgage broker.